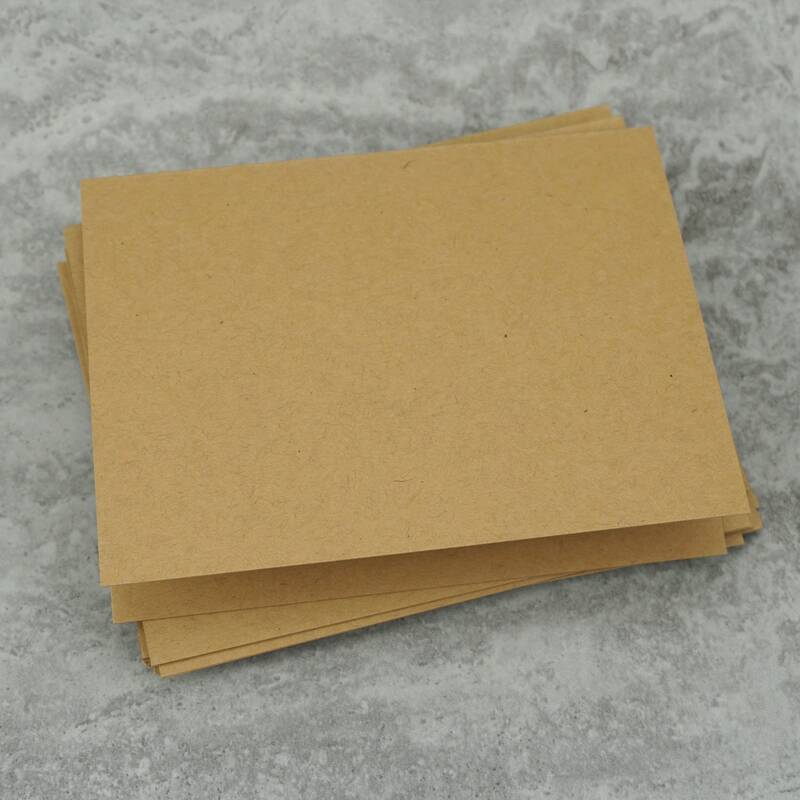 Kraft Brown Blank Notecards with Envelope, Size A2, Cards and Envelopes, Recycled, Blank Envelopes, Blank Cards. 4.25 x 5.5 In. Set of 25. 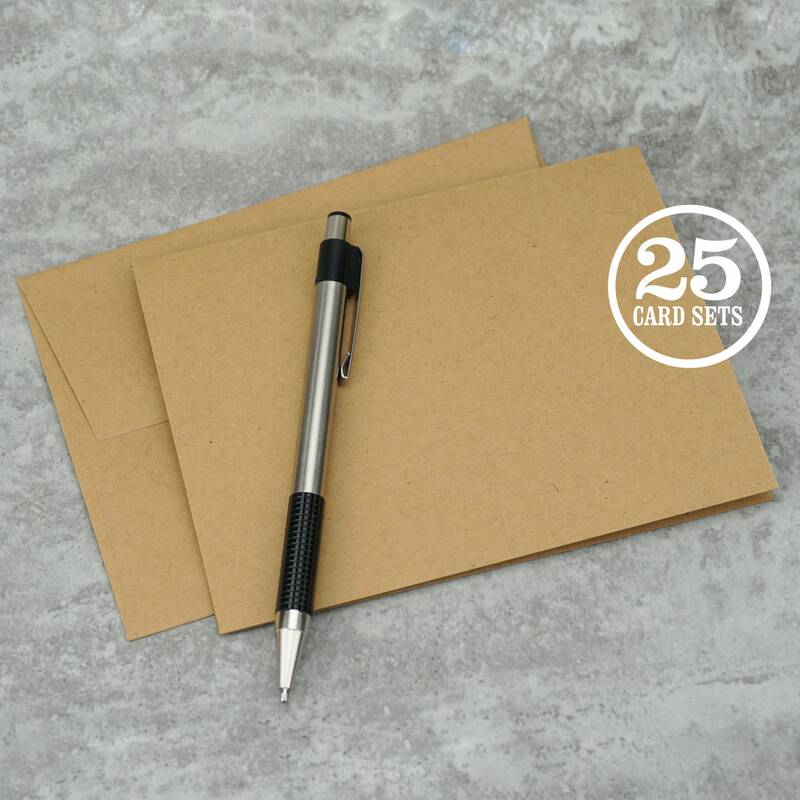 Premium kraft brown cardstock folded into A2 cards with matching envelopes. Folded card measures 4.25 x 5.5 inches. 100% Premium heavyweight recycled cover stock. Great for adding your style to create a personal greeting card or invitation. Best used for hand stamp projects, paper crafts or screen printing. This premium 100lb cover stock paper would be difficult to feed into an at-home printer. 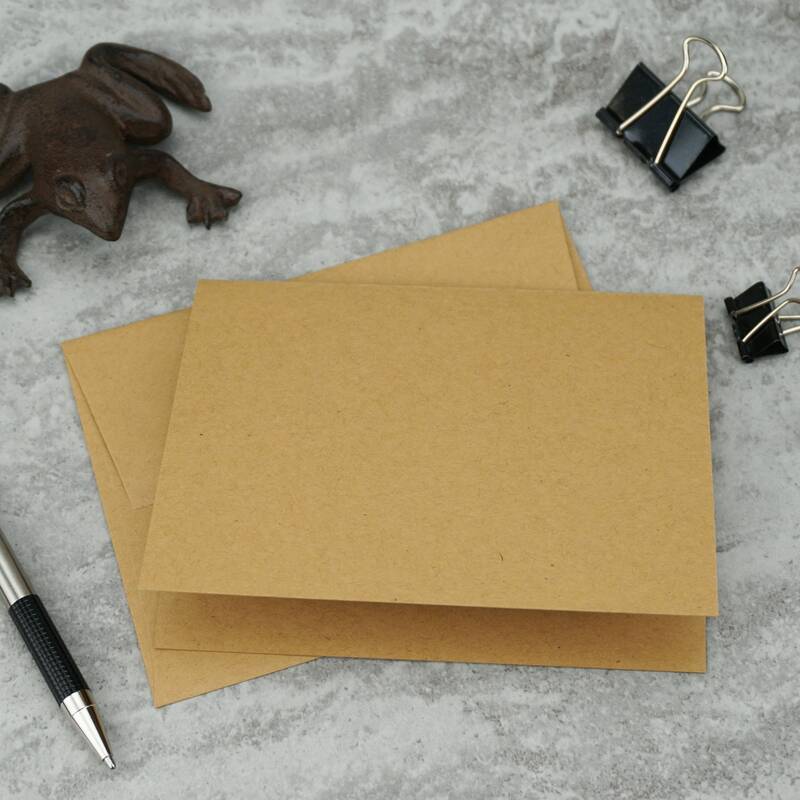 Notecards and envelopes do not include any branding, logos or markings. Made in Michigan, USA. 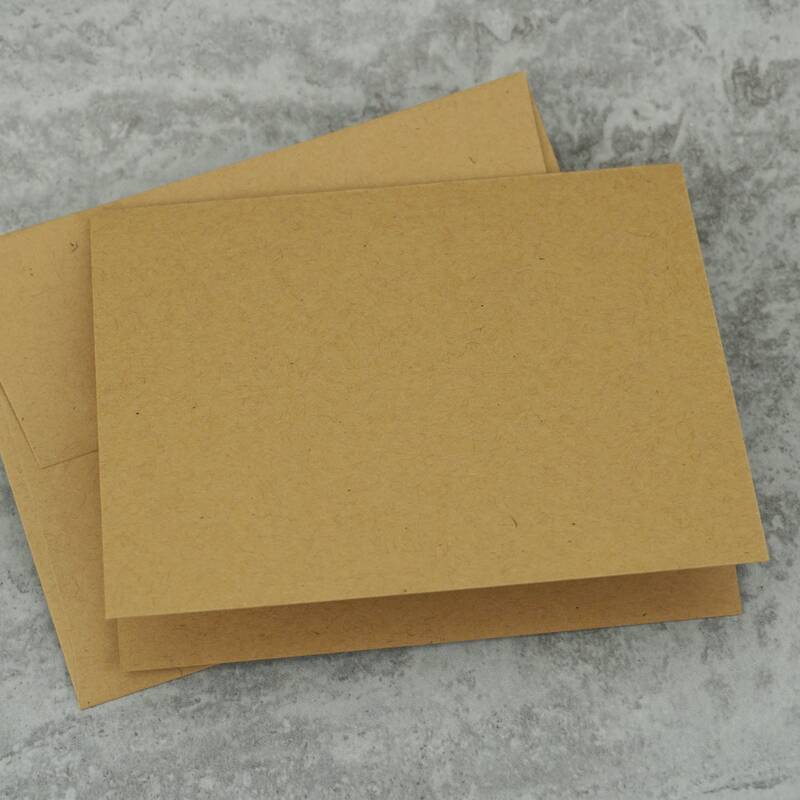 • Card Paper: 100lb Cover Stock, 100% Recycled. 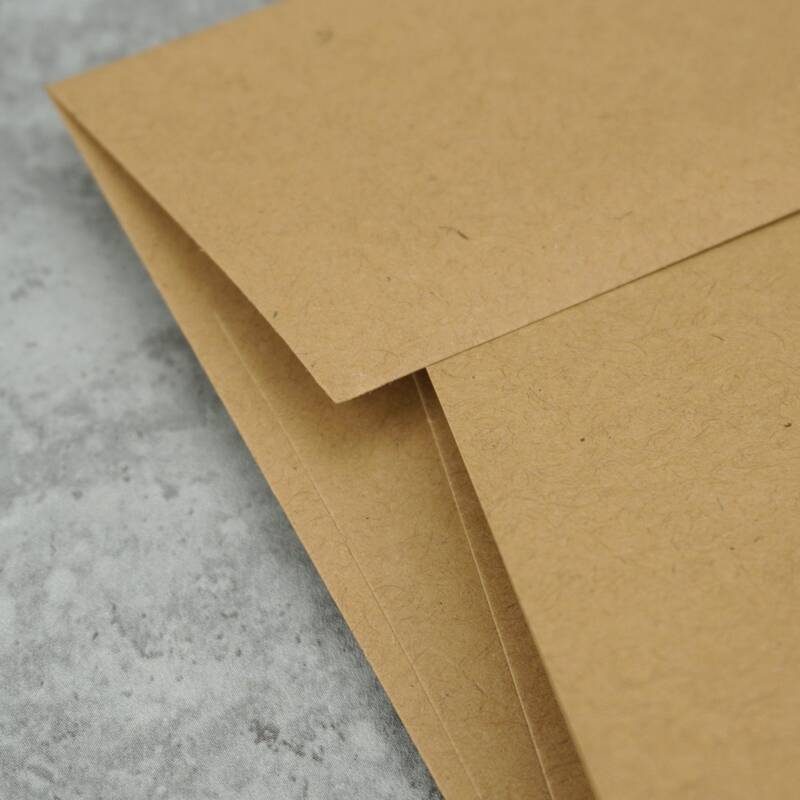 • Envelope Paper: 70lb Text Stock, 100% Recycled. Exactly as described and arrived on time and undamaged. Beautifully made and perfect for my needs.